I wrote "The Day the Sun & Moon Stood Still" to show how absurd the Biblical story of Joshua’s conquering of the “Promised Land” is from a scientific perspective. Mainly I deal with the story in the 10th chapter of the book of Joshua that says during Israel's battle against the Amorites God caused the Sun and Moon to stand still for about a day (Jos.10: 1 - 15). The reference notes in the text can be viewed on screen by clicking on the numeral text references. After you have read the endnote you can click on the endnote numeral and you will return to the original area of text. The biblical stories about Moses gaining the freedom of the Israelites from the Pharaoh are famous but Egyptologists have not found a single supportive inscription. The Bible claims there were over 600,000 males alone plus a mixed multitude and many herds of animals that joined them in the so-called exodus (Exodus 12: 37– 38). People have advanced various estimates as per how large a group this implies. Some put it to over a million people and perhaps even two. This huge crowd supposedly wandered as nomads for 40 years in the wilderness. They would have moved very slowly and should have trampled down anything in their path and left miles of waste in their wake. Despite a number of searches in the desert no one had ever found a trace of evidence. Everyday, such a large horde would need the equivalent of a few hundred large tanker trucks of water plus several tons of food. 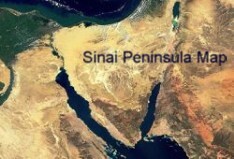 Their supplies would have quickly run out and the Sinai couldn’t have possibly sustained them. The writer(s) tried to solve the problems by appealing to miracles but left out many details. Moses on one occasion turned bitter water sweet (Exodus 15) and another time struck a rock with his staff to get water (Exodus 17). These events are depicted within the first few months of their journey but they needed daily water for forty years. There is also the story of the supernatural bread called Manna which supposedly fed the people until they got to the borders of Canaan (Exodus 16:35). However there isn't any mention of how the herds were fed. Miracles aside, only small groups guided by experienced nomads stand a chance to survive in that rugged terrain and harsh climate. The biblical account is so doubtful it borders on the absurd. In any case we pick up the biblical story when the Israelites battled the Amorites. What is said to have happened is much more than the customary priestly blessing of the troops, practiced by many tribes, before a battle. It appears the Israelite God, (known by different names such as “Elohim”  “Yahweh,”  or “Yahweh Elohim”) was concerned with the real estate as he wanted his chosen people to win the battle and take the land. The incredible account claims that God caused the Sun and Moon to stand still in the sky for almost an entire day (Jos. 10:1 – 15). I will refer to this as the “Joshua anomaly.” Presumably it was to give the Israelites more daylight to catch the fleeing Amorites. It shows Yahweh not only plays favorites amongst people but is also a tribal god of war who directly intervened in the battle. It seems his unbelievable action tipped the scales very much in the favor of the Israelites! This is only the beginning of difficulties. The Sun and Moon’s gravitation cause the ocean tides but the Moon is responsible for about 70% of the action. However it’s really the dynamics of the angles of the two bodies that determine the overall tidal ebbs and flows (See Figures 1 - 4). There are two high tides daily, one on the lunar side of the Earth and the other on its opposite side and there are also corresponding low tides. If the Moon suddenly ceased orbiting Earth; that is “stood still in the sky,” it would have suddenly frozen the tides at the point of stoppage. Since water is a liquid, it is readily drawn by the gravity of the two bodies. During the Joshua anomaly there would have been more time to draw water and it should have resulted in unusually high tides. In some areas it should have caused some inland flooding. The corresponding low tides in other areas should have been lower than normal. Imagine the shock of seaside peoples when they noticed their local tides were not behaving normally! The extent of these effects would depend on the angles of the three bodies at the time of the stoppage (See Figures 1 – 4). However since the account claims that both bodies stood still, it is reasonable to assume it occurred during a time when the Moon was visible in daylight. If it wasn’t visible to the armies why mention it? The Moon is never visible in daylight during Spring Tides which are times when there is either a New Moon or a Full Moon (the Sun/Moon angle is 180 degrees). 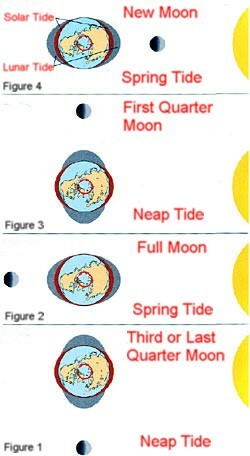 It is most visible during Neap Tides when the Moon is either in its first or third quarter (the Sun/Moon angle is 90 degrees). During Neap Tides, high tides aren’t as high as Spring Tides but during the Joshua anomaly tides should have been much higher and correspondingly lower than normal. The Joshua anomaly should have also influenced the jet stream and the ocean currents having at least a temporary impact on weather patterns. 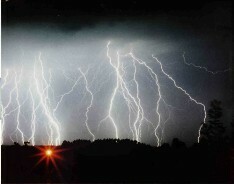 There should have been numerous sudden and very violent storms. Further, when the Moon (and apparently the Sun) resumed their normal action there should have also been a tremendous amount of water shifting around causing giant or even tidal waves that added to the destruction. The events of such a strange day should have caused many people to record all of the details but there aren’t any such accounts. However, everything I have said thus far is only the tip of the iceberg. The story, as we shall see, requires the suspension of the force of gravity and many other laws of physics. This is seer nonsense. 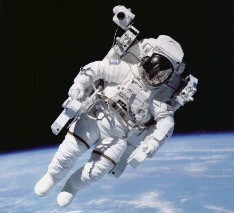 One of gravity’s key effects is it causes things to move relative to other things. We know that the Earth, for example, orbits the Sun. This of course indicates that Yahweh should have ordered the Earth and not the Sun to stand still. Most pre-scientific peoples thought the Earth was static, meaning it is stationary. We see this in the Joshua anomaly as the Sun is assumed to orbit around a static Earth. The idea the Earth is “unmovable” is also expressed in the Book of Psalms. Yet it is inconceivable to some people how the Bible could be wrong about such matters. Those who comment often ignore the troubling astronomy and focus only on the miracle. Others invent a stretched interpretation which implies it only refers to what was apparent to pre-scientific observers. It makes one wonder why God didn’t simply straighten them out. If an early revelation of planetary motion was later confirmed it would have been a really big deal! No matter how one tries to interpret the account the physics/astronomy, as we will see, renders it all impossible. Our world undergoes numerous motions (see my essay “The Motions of Our World”) but the one that is directly related to the Joshua anomaly is the daily spinning or revolving of our planet on its axis. In order to make the Sun to appear as if it stood still, you need to stop the earth from revolving since this creates the illusion that things visible in the sky revolve around us. Any such event is fraught with difficulties. Newton’s first law requires that if a force causes something to move, it continues until another force acts to stop or alter it. 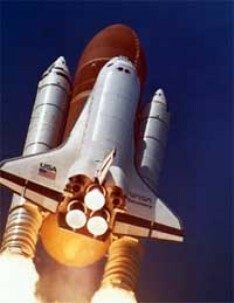 Most things that move slow down due to gravity and kinetic interactions, friction being another chief factor. In the Joshua anomaly we have to imagine that somehow our planet’s spin was suddenly and instantly stopped. This is impossible and we will see why momentarily. The second feature in the story is to make the moon stand still in the sky. There isn’t any good way to do this indirectly. The movement of the moon in the sky is another illusion. It’s created by the moon’s opposite orbital direction compared to earth’s rotation. Both bodies really move in different directions but the Earth’s fast spin makes the Moon appear to orbit the way we see it, opposite to its real direction. All you have to do is slow the earth’s rotation enough until the moon appears to stand still but the planet must keep spinning. This is counter to what must be done to make the sun appear to be stationary. In the later case the earth can’t revolve. Independent actions are required to create both illusions. We know the moon orbits the earth and if anyone claims it stopped we have the same problems we would encounter if the Earth stopped orbiting the Sun. Since the movement of planets around stars and moons about planets is caused by gravitation between the bodies, it must somehow be cancelled. This is also scientifically impossible. Some true believers might think God miraculously cancelled the earth/moon gravitational interaction, meaning the bodies maintained mass but no longer interacted. I can’t tell you how crazy this sounds! The moon orbits or “free falls” around the earth and if their attraction were suddenly nullified the moon would continue moving and would leave the vicinity of our planet. The chance of it being captured by another planet is low. It is more probable it would be captured by the sun’s more powerful gravity, perhaps pulled in and even absorbed. Most likely it would eventually settle into a new solar orbit and act as small planet. 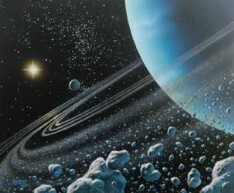 If it made it to the outer solar system it could take on a long periodic solar orbit much like some comets. It could also escape the solar system and become a wandering rogue moon. Okay, we’re supposed to simply accept all of this as another one or a series of Yahweh’s miracles. We have to imagine the earth stopped spinning and moon suddenly stopped on a point in its orbital path and yet the rest of the laws of physics still applied. If all of this happened in an instant there should have been humongous kinetic, geological, oceanic and meteorological consequences. There are two main factors that would trigger worldwide earthquakes. Firstly and mainly the sudden stoppage would cause a shift in the earth’s plates creating worldwide earthquakes like we’ve never seen. Secondly when the planet stopped spinning it would reel-in its centrifugal force that tends to cause things to bulge outwards. It would cause an instant inbounding effect followed quickly by a rebound. This would also stress the earth’s plates and add to the generation of earthquakes. Of course all of this would create new fissures in the earth’s crust or aggravate older ones creating pathways for pressurized molten magma to erupt to the surface as volcanoes. Giant waves or tsunamis also often follow in the wake of earthquakes due to flexing earth plates underwater. Many mountain and hill tops would crumble creating gigantic snow and landslides. When these events occur at sea shores they can also trigger tsunamis due to the sudden influx of material displacing large amounts of water. Much of the ice locked up in glaciers and in ice sheets at the polar caps would also fracture and break up. Our planet spins in an easterly direction. When it stopped it would also eliminate the planet’s other rotational derivative called the Coriolis Effect. It influences the prevailing winds and the rotation of oceanic currents and these would instantly change. More importantly the sudden stoppage of the spin of our planet would instantly reroute the jet stream and cause winds to blow mainly in an easterly direction at almost 1,000 miles per hour. 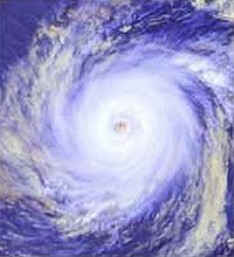 These massive winds would blow all around the world as if were engulfed by a massive hurricane. 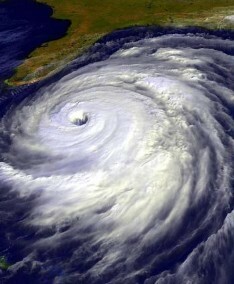 Just to make a comparison the highest wind speeds recorded in hurricanes are less than 200 miles per hour. Now we have to imagine a worldwide storm five times as powerful. The resulting friction alone would be stupendous, causing a rapid rise in worldwide temperatures. The worldwide storm would go on and on. In its wake most of the remaining infrastructure of cities would be destroyed; many buildings, electrical lines, plumbing, dams, bridges, nuclear power stations, etc. would be damaged or even break up. Many cars, trucks, trains, dead bodies and other things would be flung into the air, not to mention the broken glass, plastic, stones and many other kinds of debris. Even some of the largest trees would snap or be ripped out of the ground and smaller ones flung into the air. There would also be worldwide devastating fires but some of these would be quenched by massive rainfall and floods. There would no longer be a 24 hour day consisting of about 12 hours of light and 12 of night. Now day and night would be governed by the earth’s yearly orbit around the sun. The part of the planet facing the sun would experience six months of perpetual sunlight and would be flooded by damaging ultra violet rays. The opposite side would have six months of darkness but this would shift on a yearly basis. The demarcation line between the hot/cold sides would create a wide shadow area stimulating numerous cyclones or hurricanes. Many of these would probably quickly break up due to the greater power of the worldwide storm. Normally storms wind down due to factors such as friction from the land but the shadow area would act as an engine to perpetuate the worldwide storm. On the sun-side of the planet the oceans would also experience a continual solar high tide as would the opposite area on the night-side. (See my essay “The Motions of Our World” for a more complete discussion on how tides operate). In the long term only some of the tiniest forms of life such as microbes in underground pools of hot water or encased inside rocks  might survive. Perhaps some microbes at the bottom of what was left of oceans near volcanic vents might survive for a time but only those that made it deeper underground could last after the oceans dissipated. Such forms of life have been found in extreme conditions on earth and it gives scientist the hope that we may eventually also find them on Mars and in other places in our solar system. Now let’s back track and look at who might be the longest-lived humans in our scenario. Shortly after the anomaly some underground miners and other workers along with a relatively small number of people in underground shelters might survive for a time. They would have lost all public electrical power and communications. The miners would lose power to their damaged elevators and have to climb ladders in emergency shafts to try to come to the surface. Surface conditions would be intolerable; everything would be destroyed, massive winds and climbing temperatures. It would force them back underground probably even before they made it all the way. The temperature would also increase underground since mines get air from the surface. Of course most mines also get their electrical power from the surface and it would be inoperable. Without power for air conditioning, blowers and fans it would spell certain doom. They would have to rely on stored food, water, batteries and fuel for powering any underground generators, etc. Some places on the sun-side of the planet might have electricity producing surface solar cells with lines that take the power underground but even these would be ineffective due to the haze and dust in the air blocking out sunlight. In due time supplies and power sources would run out and all of the remaining electrical power systems would fail. There wouldn’t be anyone who could rescue them and people would die in the terrible heat and underground darkness. Any underground survivors on the night-side of the planet who were able to somehow observe surface conditions would only see constant darkness but in some areas there would be some sporadic colored lights generated by massive displays of the Aurora Borealis in the northern hemisphere and the Aurora Austral-is in the southern hemisphere. Where these would be strongest depends on the flow of cosmic rays. 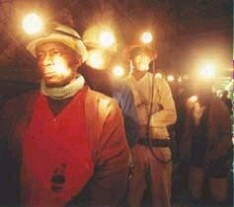 In any case in a very short time there would be very few humans left alive in mines and underground chambers. If there were submarine crews undersea they would have also lost almost all communications. It’s practically a total black out. With some luck some crews might succeed in communicating with those in other subs via orbiting satellites. They might initially think they were in a local giant storm but why weren’t they alerted? Depending on which side of the planet they were on, they would be baffled when they noticed the sun either didn’t set or rise as expected. 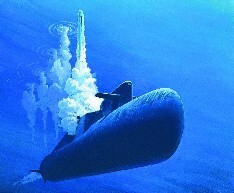 Nuclear powered submarines are much longer ranged than older classes of submarines. Their nuclear generators do not absorb air like the diesels engines used to power up batteries in the older types of submarines. This is the reason they can stay undersea for so much longer. 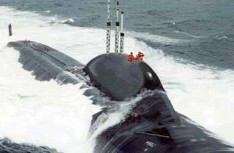 Luckily some modern nuclear submarines do not need to be refueled during their entire 25 year life span but the crew still needs to eat and drink and supplies must be replenished. They might think about risking a landing to find supplies but it would be all but impossible. 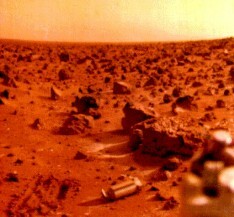 Some of them would no doubt continue to believe there must be places where surface conditions could still sustain life. These submariners would have many things to consider. In addition to the intolerable surface conditions there would be numerous damaged nuclear power plants. It means there would be many Chernobyl-like places where lethal radiation would be flooding out into the environment adding to the extreme dangers. 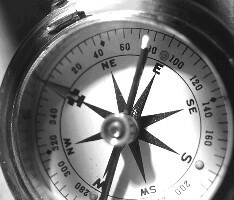 Navigation would also become increasingly difficult. Some or all global positioning system satellites (GPS) could eventually be knocked out by cosmic radiation especially during solar storms. If the magnetosphere were to act erratically compasses could at times also become less reliable but if so it would add to the clues that something very strange and devastating had occurred. The storms would rage for years and the crews would run out of food and vital supplies. They would probably be amongst the last humans to perish. The astronauts would also eventually conclude trying to make a landing without any aid from ground services amidst the storm would be suicidal. It would be chancy but dying in space when supplies and fuel ran out also isn’t very appealing. It would be a terrible decision; one can only imagine the drama. After the shock, much discussion and even arguments, they would simply have to accept there probably isn’t any safe place to land. In any case it would amount to deciding where they were going to die. When their supplies ran out they would face starvation on board or they could try landing but it would be certain death in the 1,000 miles per hour winds. Now, from all of this, you can imagine the devastation the Joshua anomaly should have caused. The instant the earth stopped spinning the invading Israelites, the fleeing Moabites, and almost all of the surface life would have been wiped out. 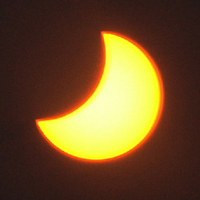 Then the story requires that, after about a day, the sun and moon appeared to move normally again. Now we have to imagine the earth’s spin being kick started. 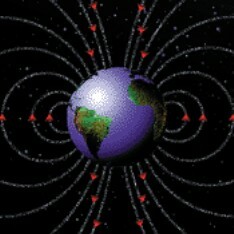 Normally we don’t feel the movement of the planet as its acceleration is constant. It’s like being on an airplane, for example, when it has reached its cruising speed you can take off your seat belt, get up and even walk around. If there isn’t any turbulence it seems just as if you were at rest. But now we have to imagine the planet starting to spin from zero and accelerating up to over 1,000 miles per hour. This is double trouble. Have you ever experienced acceleration on a roller coaster, fast car or airplane? When seated and belted you feel as if you are being pushed back into your seat. If you were standing you could be flung right off your feet. Speeding up the planet to its constant spin velocity would cause even more devastation. If there were any survivors they would dread the day the sun and moon stood still. By now you’ve probably seen how ridiculous all of this really is. Thankfully the story is clearly a myth. There is also a similar myth in II Kings. This is the story of King Hezekiah who had fallen ill. Isaiah the prophet visited him and told him he was going to die but as he was leaving “the word of God” came to him. Yahweh had heard the king’s prayer and saw his tears and he was going to heal him. Isaiah was told to take a lump of figs and place it on the king’s boil (skin outbreak). Hezekiah was promised 15 more years and protection from the king of Assyria. He asked Isaiah for a sign and the prophet said he could chose that either the shadow would go forward or backward ten degrees. 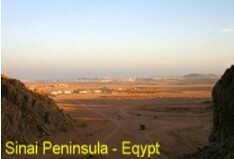 The king asked that the shadow go backwards and hence it was reportedly witnessed on the sundial of Ahaz (II Kings 20: 1 – 11). I call this amazing story the “Hezekiah anomaly.” It requires that the Earth not only had to stop spinning but it also had to rotate backwards and then stop again and then resume normal rotation. As we’ve seen this is scientifically impossible. If it happened it would have resulted in the complete destruction of all surface life. The problems are paramount. 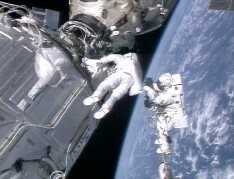 Firstly NASA scientists completely deny the story. Secondly there isn’t anyway to date the Joshua anomaly which had to have occurred on a specific day in the distant past. Further and most pertinent, it is impossible for a computer to find such a missing day even if it occurred. All you can do is to post-dict planetary positions and compare them to known records. Such calculations using Newton’s Laws and making comparisons are only possible for very recent dates. The further back in the past you go the more complicated become the calculations since you also have to include the gravitational effect of the other planets which alter planetary orbits (See my essay “The Motions of Our World”). There are also no records of planetary positions to compare with such extrapolations; it’s impossible. The story is an Urban Myth or Legend and is complete nonsense. Everything I wrote about the Joshua anomaly was to show how impossible it is according the applied physics/astronomy. It was all done after the manner of the time honored thought experiment. In many instances physicist can’t, for various reasons, conduct real experiments so they play it out in their imaginations. Albert Einstein was a master of the art but others also gained insights using this form. This isn’t to say my scenario isn’t error free and couldn’t be improved upon by mathematical modeling and computer simulations. I realize that true believers will still insist the Joshua and Hezekiah anomalies were miracles and as such defy explanation. All so-called miracles are not as void of evidence. Imagine a case where a patient had a detected tumor and after a healing ritual it disappeared just prior to surgery. At least in such cases there are some facts such as the before and after details. There is also much uncertainty about what can occasionally go on inside our bodies. In cases of stories where there isn’t any evidence the bar of believability is even higher since there isn’t any way to distinguish such stories from myths. Stories such as the Joshua and Hezekiah anomalies are even more problematic. 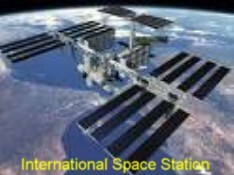 They require the suspension of so much of known physics, such as the like that it has never been seen, and contain nonsensical ideas of how our solar system operates. I simply have to call a spade a spade and conclude these accounts are myths. 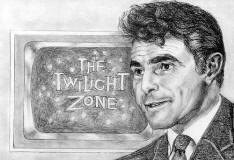 Even so, I still think this essay has educational value, even for true believers. We know that planets orbiting stars at the right temperature range for liquid water to exist is a primary requirement for the development of complex forms of life such as us. As astrophysicists and astronomers continue to search for extra-solar planets they hope to find other planets hospitable to advanced life. 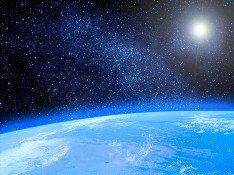 They have narrowed down the requirements of such special earth-like planets to a list that includes: a warm benevolent atmosphere, an abundance of liquid water, sizeable land masses and the presence of an adequate amount of bio-friendly elements such as carbon, oxygen, hydrogen, nitrogen, phosphorous and sulfur. Most of these are heavier elements (hydrogen is the lightest) and these require much time to be formed within stars and in their end of life explosions, called supernovas. Also complex life requires a long time to evolve within benevolent conditions. These planets must also be geologically active and that means they must have a spinning hot core of ionized plasma. As it turns out it is also the engine that powers tectonic activity. The earth’s crust and the ground we walk on, sits on top of floating tectonic plates. As the plates slowly move, collide and even submerge under one another, mountain ranges can be built up and oceanic rifts widened. The moving plates carry continents and islands along in their slow drift and cause earthquakes in the process. The cracks or fissures in earth’s active crust also allow pressurized magma to rise to the surface as volcanoes spew it out as lava along with deadly gases and heat. It sounds strange but some minimal level of volcanism and earthquake activity is a good thing. The point is if earth didn’t have a hot core, volcanoes and earthquakes then we couldn’t be here. “Elohim” is a general term for God. It is said to be a uni-plural noun such as the English words “church” and “family.” It is the plural form of the root “El” and implies God contains more than one being. Forms of “El” are also found in Canaanite and Akkadian but its origin is unclear. “Yahweh” is an accepted English vocalization of the Hebrew God’s divine name, YHWH, referred to as “the Tetragrammaton.” Early biblical Hebrew writing didn’t include or use vowels and the name became considered too sacred to utter. It is likely that no one knows the correct vocalization; although it is said that some high ranking Rabbis know it. It is supposedly a well guarded secret. Even when vowels were later added they had some very complex and different usages than those in the English and most other languages. Therefore the addition doesn’t really clarify the issue. A minority prefer the “Jehovah” vocalization. It was firstly used by later Christian Europeans but most scholars think it is incorrect. On July 4, 1054, Chinese sky watchers recorded a strange bright light in the constellation known as the Crab. It was four times brighter than Venus (when the planet is viewed as brightest) and could be seen even in daylight for 23 days. We know it was caused by a supernova, the explosion of a star. If Joshua’s miracle really happened it would not have gone by unnoticed by many peoples. Yet there isn’t a single record outside of the Bible. All planets, including the earth are moving around the sun, west to east. The stars, sun and moon always appear to move in the same direction around earth, east to west. This is an illusion due to the rotational velocity and direction of the earth as it spins on its axis, west to east. The common apparent direction of the other planets around earth is also east to west. 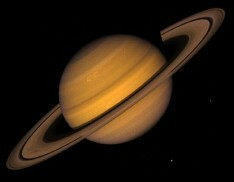 At times a planet can appear to stand stationary and begin move in the opposite or retrograde direction. Later it can appear to stop again and resume direct motion. These changes are the result of relative differences between the speed and position of the earth in its orbit compared to those other planets. These planets do not actually stop and change directions in their orbits. Mercury isn’t much larger than our moon and it is also scarred by craters from past bombardments. Perhaps in the earlier more unstable universe, it was formerly a more distant planet or a planetary moon that was ejected and later captured by the Sun’s gravity. It is inclusive in the sense it must include the beginning and end points in the said interval. The solid iron inner core moves slower than the secondary more molten nickel/iron one. This differential and interaction is said to be key to generating the magnetic field. However there are still some unanswered questions about the process. Mars hasn’t stopped rotating. It lost its magnetic field due to some unknown internal dynamics. Perhaps its once molten inner core froze and the planet’s spin couldn’t generate a magnetic field. Minute amounts of water exist in some rocks. Scientists have found microbes living inside rocks found in Antarctica. These algae only come to life and photosynthesize energy from the sun into usable forms for very short warmer periods of time yearly. When this class of submarine submerges they run off the batteries. They must periodically surface to run the air using diesel engines to recharge them. If it didn’t accelerate back up to the same constant velocity then the subsequent days would differ in length compared to earlier ones. I know of a few such cases. In one case a tumor disappeared almost overnight. The doctors tend to think of these as “remissions.” The body can heal itself (i.e. put a disease into remission) but this usually takes a slower and more gradual route. In any case this isn’t in the same league as what is alleged to have happened in the Joshua & Hezekiah anomalies. 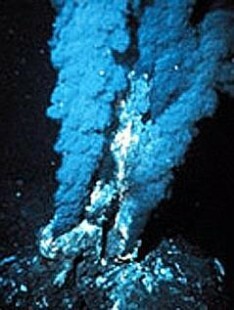 Perhaps there might be some liquid water-based forms of life in our solar system. The listed possible places include Mars and moons like Saturn’s Titan and Jupiter’s Europa. It has been suggested these might harbor some under ground/ice water microbial or perhaps even more complex forms of life. So far there has been some less than conclusive evidence in a few meteorites found on earth but determined to have originated from Mars. Future exploratory missions directly to these places may some day turn up some definitive evidence. It would certainly be a huge discovery! Of course one can criticize such consul as being limited by an Earth’s conditions view of complex land-based life. On the other hand it is difficult to imagine such life could exist in an environment bathed by cosmic rays. Of course one could argue they obviously eat them but Hollywood’s ET, at least, didn’t.